Everything from Bobbleheads to Beer Steins, With Plenty of Music, Food, and Fireworks! Franklin, Wisconsin(April 12, 2019) – The Milwaukee Milkmen have unveiled a wide-ranging promotional schedule for their inaugural 2019 American Association of Professional Baseball league season at brand-new Routine Field in Franklin, Wisconsin, and there’s plenty of music, giveaways, fireworks, and excellent food on tap! Daily themes at Routine Field are: Mangia and Merch Mondays (food specials and 10% off merchandise); Loco Locals & Triple Play Tuesdays (Appreciation Nights and $2 soda, hot dogs, and pretzels); Wednesdays feature Ladies Night (our Hop Yard will turn into the “Grape Yard” featuring all-you-can-drink wine as well as specialty food items); Thirsty Thursday ($2 domestic beer and $4 craft beer); Fridays are Boom With a Beat nights (fireworks synched to theme music); Saturdays are Promo Nights (giveaways); and Sunday is Family Funday (Gates Open Early for Brunch and Bloody Mary Bar, plus free Kids Brunch with every Adult Brunch purchase). There are seven Boom with a BeatNights scheduled, each featuring fireworks and a wide range of musical genres sure to be a hit with all ages. Home Opener Fanfare (June 24), 50 Years of Led Zeppelin (June 27), Woodstock 50th Anniversary with 3D fireworks (July 12), Live Polka (July 27), Country Night (August 9), 80’s Hair Rock (August 23), and Fan’s Choice (August 31). Jersey Auctions will feature Perfect-for-Woodstock Tie Dye (July 12), Milwaukee Cropduster (August 1), and Hawaiian (August 24). A wide range of Promotional Giveaways feature everything from Commemorative Milwaukee Milkmen Pennants (June 24) to Mosquito Repellent Wipes (August 20). 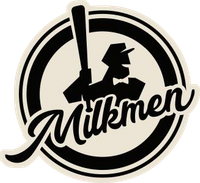 Of course, Milkmen Bobbleheads will be featured on July 13th and August 24th. That’s not all. “Stranger Things” fans will want to mark Tuesday, July 30th on their calendar, a certain demographic can plan on talking great selfies at Millennial Night on August 22nd, and there’s even a night set aside for our canine friends – Bark in the Park – on August 21st. Milwaukee Milkmen single-game tickets go on sale soon. Season tickets and 9-game pack purchases are guaranteed giveaways items and have a flexible exchange policy. To see the entire Milwaukee Milkmen 2019 Promotional Calendar and for ticket purchase information, visit www.milwaukeemilkmen.com/promotional-schedule.